According to CNN, Hoi An “may have rocketed in popularity in recent years, but even increased visitor numbers can’t detract from the undeniably quaint and romantic feel of this former trading port”. 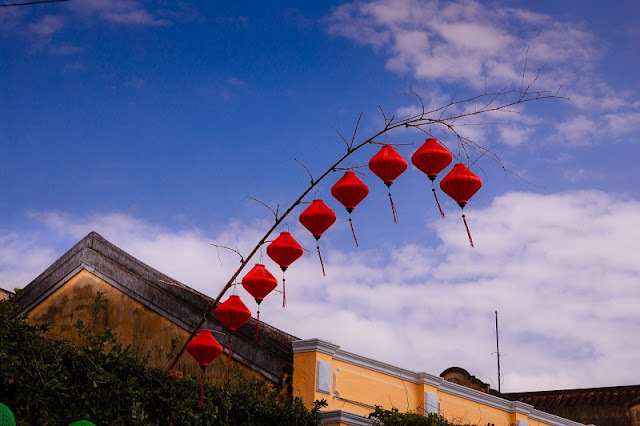 The old town features ancient temples, houses and stores built around canals and pedestrian bridges that let you wander hand in hand, with hundreds of multicoloured lanterns swaying in coastal breezes. “Paper lanterns of another kind can also be lit and sent soaring skyward, along with a special message written with your valentine,” the news network said. It recommends the town’s famous foods including ‘banh mi’ sandwiches. “After strolling, enjoy some of the town’s rightly famous foods, notably the ‘banh mi’ baguette sandwiches that counted Anthony Bourdain as one of their biggest fans. His photo features prominently in a number of the spots he frequented,” it said. The CNN list also includes the Maldives, Paris, Venice and Hawaii. Earlier, CNN listed Hoi An as one of the 16 best places in the world to relax and de-stress. Travel Leisure has also named it among the 50 best holiday destinations around the world while The Travel website ranked Hoi An the 14th best place in the world for expatriates to live thanks to its cheap cost of living.